A Saint John teen has been charged with two counts of aggravated assault in connection with two other teens being stabbed on a school bus on Monday morning. 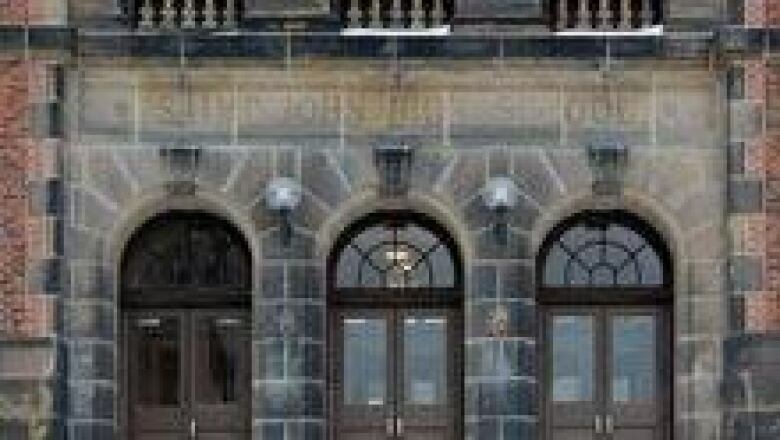 The accused 17-year-old appeared in provincial court on Monday afternoon, but did not enter any pleas. He has been remanded for a 30-day psychological assessment, Sgt. Jay Henderson stated in a release. The alleged altercation occurred at 8:45 a.m. on a bus that was travelling to Saint John High School, in the city's uptown. Saint John Police Sgt. Chuck Elgee said two male students, who are 16 and 17 years old, were injured in the incident. They were both treated in hospital for non-life threatening injuries and released, he said. "The suspect was arrested on the school bus. He's in our custody now," Elgee said. Elgee said it is too early in the investigation to comment on the motive. The major crime unit is investigating. Grade 12 student Shawna Doucet, who was outside the school on Canterbury Street when the bus got pulled over, said one of the victims had a wound on his neck. "He was walking and everything," said Doucet. "He was bloody all right down here," she said, motioning to her neck and chest. "And he had to go to the office, and they had to block off everything until the ambulance and everything came." The other victim had a wound on his arm, Doucet said. "I was kinda scared 'cause it's uptown," she said. "It happened right in front of the school, right? Right on the bus. It's supposed to be a safe place, you're supposed to feel safe at school but … I don't know." Alex Sklavenitis, also a Grade 12 student, says he believes the school should do more to prevent violence. "They need to see what's going on and they need to stop it before it happens, it's like giving someone a vaccines," he said. "You don't wait for someone to get sick to give them the cure." Debbie Thomas, a senior education officer with the Anglophone South School District, declined to be interviewed by CBC News. But Thomas did say the right actions were taken by school officials and that support staff are in place to talk to the students.